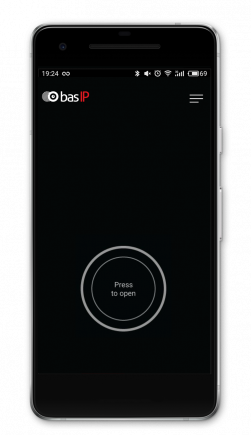 BAS-IP UKEY is a free application for iOS and Android smartphones, which allows you to get access into the building or to the certain territory in places where the BAS-IP outdoor panels are installed, equipped with a special readers BAS-IP MR-03B. 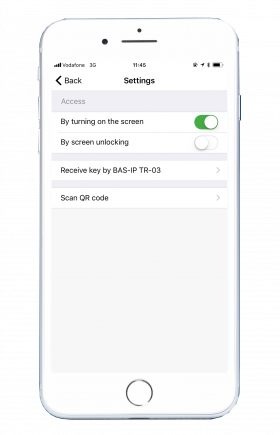 - by activating (enabling) the mobile screen without unlocking. 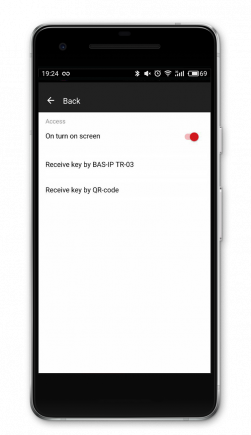 A unique UKEY mobile identifier which resides in the application, protected from copying and cloning, as well as protected from the possibility of decryption and parsing for subsequent illegal use, by an interception from any radio aids. 2 – via BAS-IP TR-03B reader. • Transfer identifier by pressing a button in the application itself. 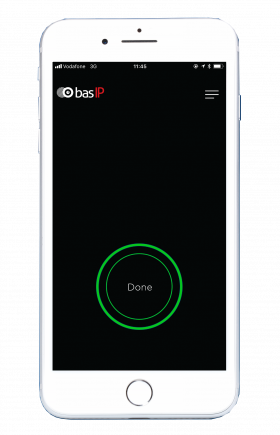 • Getting identifiers from file saved on phone.